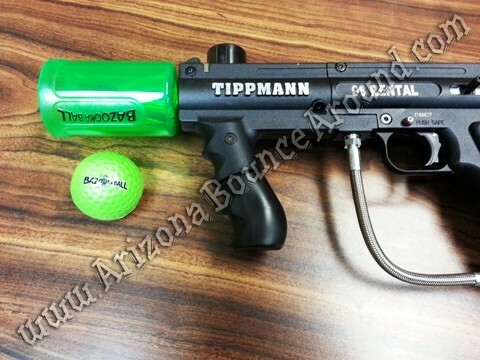 Our Bazooka Ball western shooting game features real paint ball guns that shoot foam balls the size of golf balls. 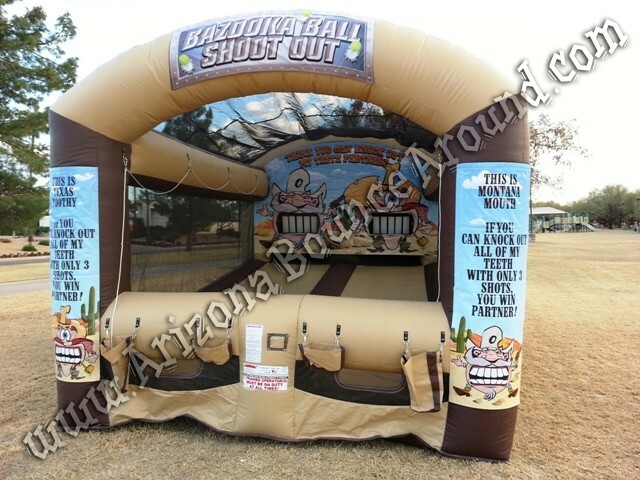 This western shooting gallery has the western look and feel perfect for any western themed party or event. 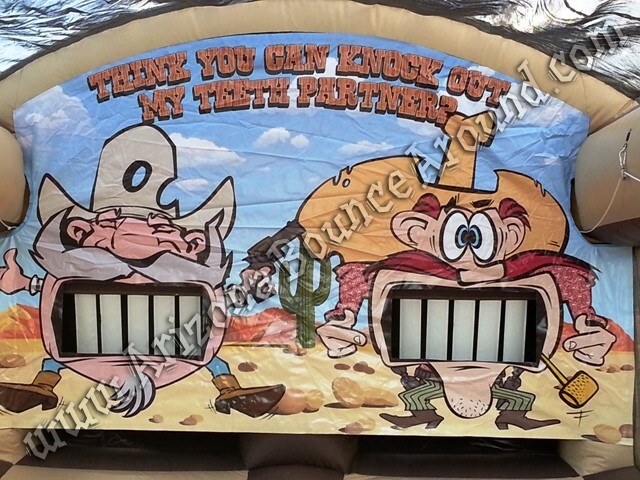 The object of the game is to shoot out the teeth of the western characters with as few shoots as possable. 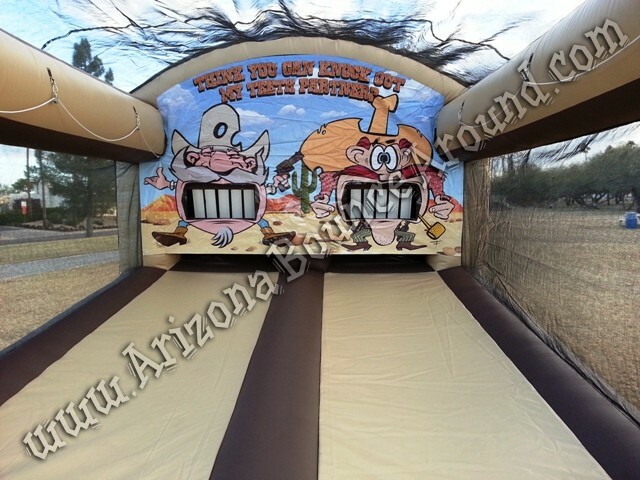 The teeth are easily pulled back up by just pulling on the rope on the side of the inflatable making this game really fast and with 2 players at a time can move the line pretty quickly. 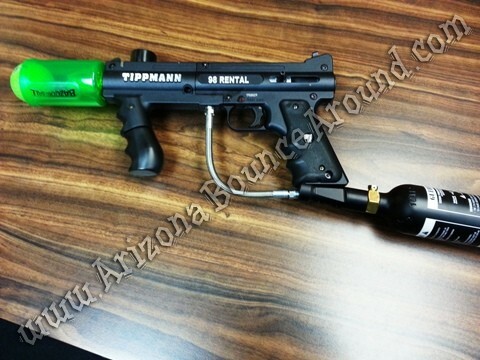 This western shooting game comes complete with 2 Bazooka Ball guns with full air tanks and 20 foam safety balls. 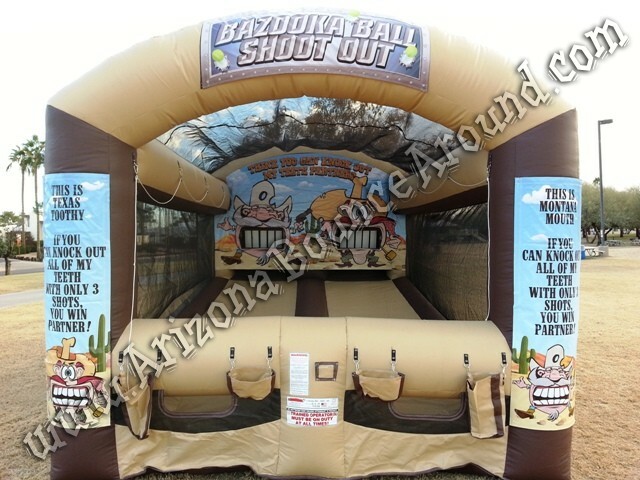 We have lots of other western themed party items like mechanical bulls, western themed bounce houses and western props just to name a few. 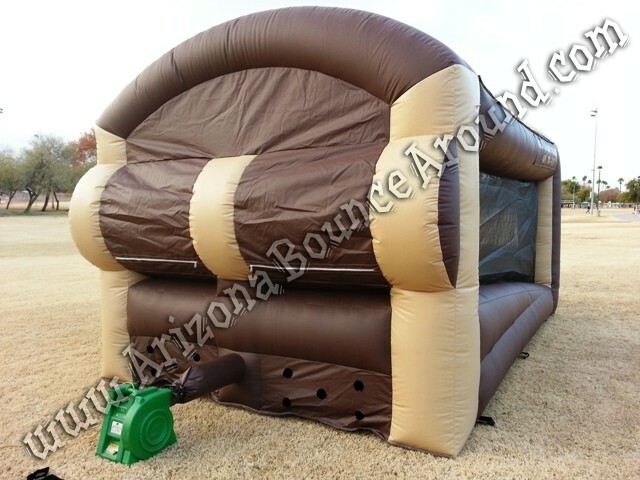 Add a calf roping machine for the true western party or event.